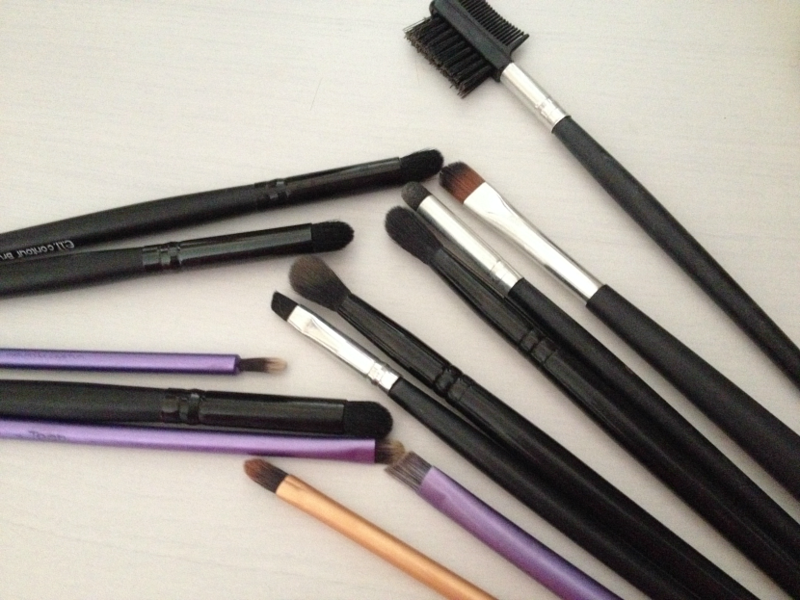 I love make-up brushes. I never used to use them but now I have them in my life (thanks to blogging) I can't imagine not using them. I only have a small collection but I've found I don't really need any more than the ones I have. Here is a dedication to my little collection and an explanation of what I use them all for. I suppose a lot of the beauty obsessed think this is an absurd amount of eye brushes as there aren't that many but I've never been majorly into eye shadow until recently and, to be honest, because I'm not overly adventurous with the colours I wear or the techniques I use. I've found these are the perfect amount for me though and whilst I'll probably purchase a couple more better quality brushes in the future these are great for now. The Body Shop Eyeshadow Brush is a flat, synthetic brush for packing on colour to the lid. It doesn't really get used unless I'm doing a smoky-eye for a night out. For the most part I use the ELF Contour Brushes. They're fairly soft and easy to use to really work colour across the lid. This probably isn't the best way to apply eye shadow but it works for me. To blend out any harsh edges or add colour to my crease I use the MUA E3 Blending and Shadow Brush which is an alleged dupe for the MAC 217. I quite like them considering how cheap they are and they haven't shed or become misshapen yet. The Real Techniques brushes include the Pixel-Point Eyeliner Brush is the one I use to apply inner corner highlights as I find my little finger is just too big for highlighting to look really subtle. I like the Accent Brush for pushing shadow under my eyes and the Brow Brush is what I use to apply powder to my brows although I have experimented with using it for thicker eye liner application (and failed). I have some random brushes as well that I had left over from the first set that I ever bought from Amazon that come in handy from time to time but that I don't tend to pick up often. 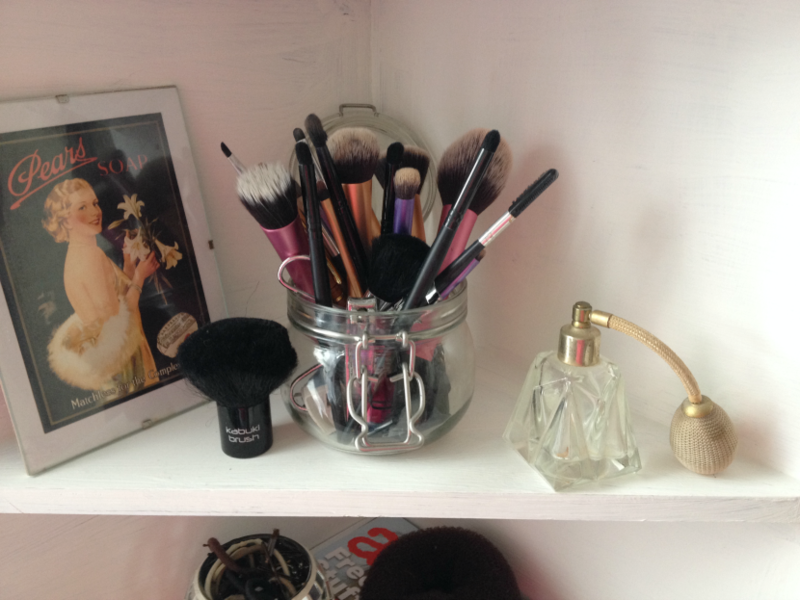 The brushes I use on my face are possibly in need of doubling but I can cope with the set that I have right now and it's my own fault for simply being too lazy to spot-clean them every day. As you can see, they're all Real Techniques - not because I shun other brands but because I haven't gotten around to trying the likes of Sigma or Crown Brushes. For foundation application I adore the Expert Face Brush because it's dense without being stiff and can be used to either 'paint' or 'buff'. The Deluxe Crease Brush is my choice for concealer because I find it blends liquid and cream really easily and evenly. I use the Buffing Brush for powder because I don't have another suitable brush for this and whilst it can sometimes make my face look caked, if I'm careful it look great. I use the Contour Brush for contouring although sometimes it doubles as a powder brush for the setting the area under my eyes and I use the Blush Brush for blush (surprise surprise). 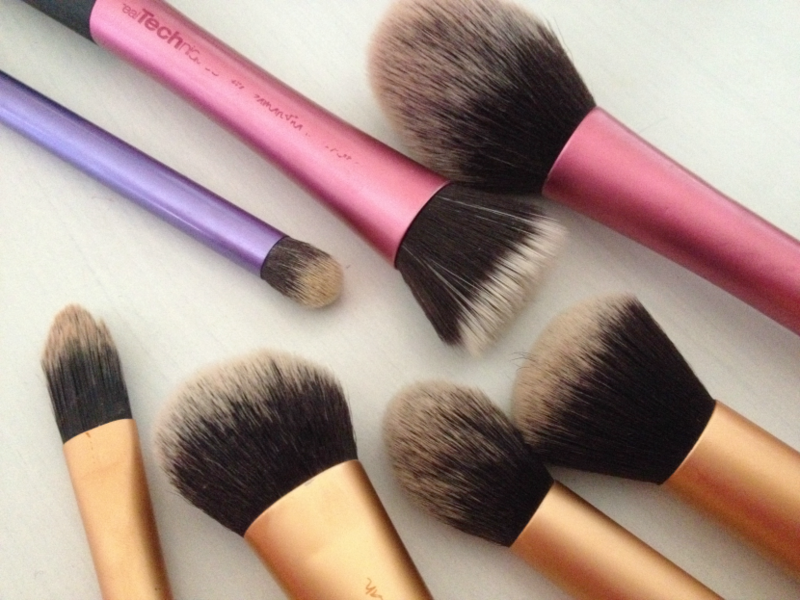 Both of these brushes are soft, fluffy and fab for blending. 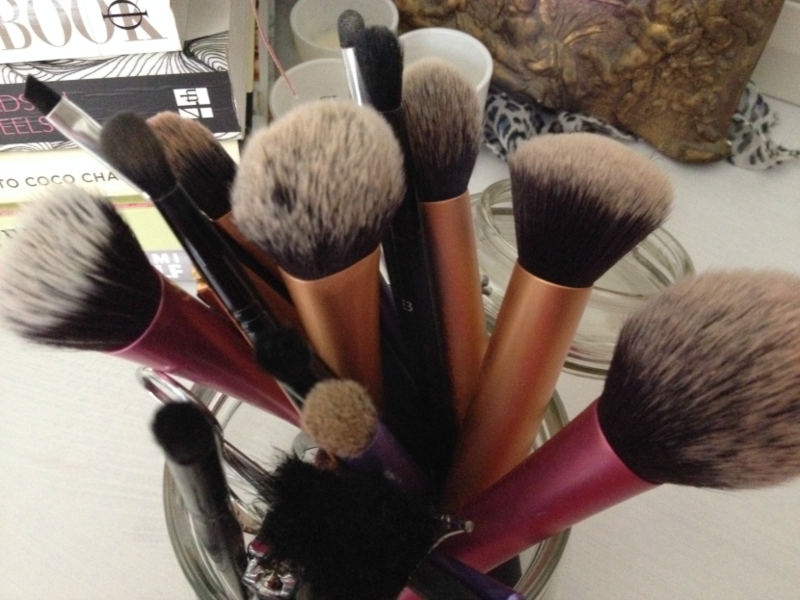 The lesser used brushes are the Stippling Brush and the Foundation Brush. I used to use the Stippling Brush for my foundation and I did like it but I found it worked better with cream blush instead (which is why it's now redundant for the time being - I've moved away from cream blush in favour of powder now autumn in here). The Foundation Brush is either used for applying highlighter to my cheekbones or for applying face masks. I've never liked using it for it's actual purpose - I find my foundation doesn't sit very well like this and looks more obvious. I do have my eye on getting the Real Techniques Setting Brush and Powder Brush in the future but they're the only ones I feel like I would use. Anything else might get wasted on me. Let me know which brushes you use the most - or if you think I need to add to my collection with a brush you highly recommend. PS. I'm well aware that not all of the brushes in the photos of this post are not clean. My apologies but I used them this morning. Keep it real guys and don't leave hater comments. They'll just be deleted.